Councillor King, of Blairhead Drive, £1,000 from her locality budget to Home-Start Watford and Three Rivers towards client support costs. 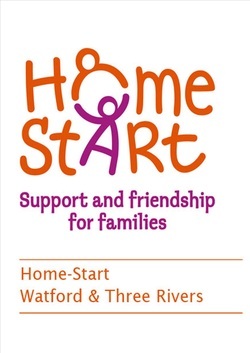 Home-Start is a voluntary organisation that is committed to promoting the welfare of families and helping them during time of crisis. Their main aim is to offer practical family support, with well-trained volunteers visiting families on a weekly basis. This support is completely free for the families concerned. "I am very happy to be able to support this organisation to enable this work to continue to help families here in South Oxhey," said Councillor Joan King. £10,000 is available to each member of Hertfordshire County Council to spend on community projects in their area. The funding is for worthy social, economic or environmental causes. For information on how to apply for funding under the scheme, visit www.hertsdirect.org/localitybudget.